Who says sharks prefer meat? Yes, most do, but not this special one. Say hello to Florence, the world’s very first vegetarian shark who loves to munch on greens, preferably heads of lettuce. 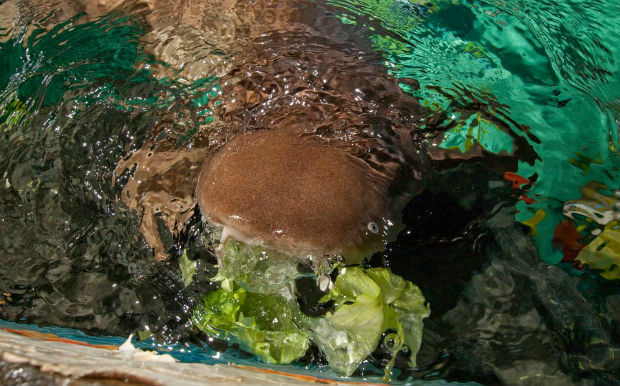 Florence, a six-foot-long nurse shark, just hasn’t been the same ever since she had surgery three years ago, as she has said no to meat and yes to veggies, Treehugger reports. When Florence underwent surgery to remove a rusty fishhook from her upper jaw in September 2009 her diet changed dramatically. However, back then she made headlines for her surgery, which is considered the first out of water procedure for a nurse shark. She sure does love the limelight! Now, she currently resides in England at Birmingham’s National Sea Life Center where she is making quite a stir by only choosing to eat lettuce. 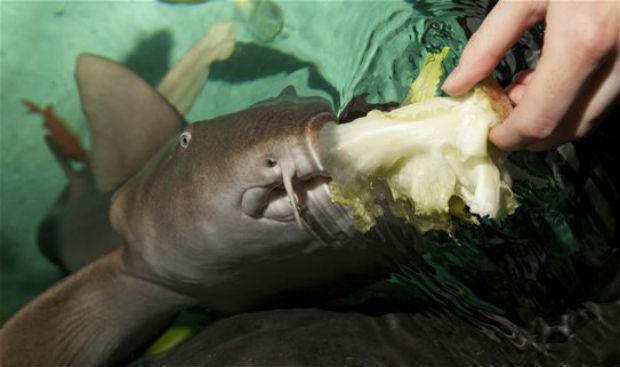 Yes, nurse sharks are known for eating algae from time to time, but Florence is swearing off meat all together. Even though Florence desires vegetables, wildlife specialists say she needs her meat to obtain proper nutrition. You know what they say; women know what they want and so does Florence! I guess you can say Florence is changing the reputation of sharks worldwide, and in the greenest way possible. Radical changes in the behavior of captive wildlife following major trauma are not really something to celebrate.